A little exoplanet living in a neighbouring star system has caused a very big stir among scientists. It may be too hot for life to survive on its surface, but the discovery of an Earth-sized planet orbiting Alpha Centauri B is interesting. 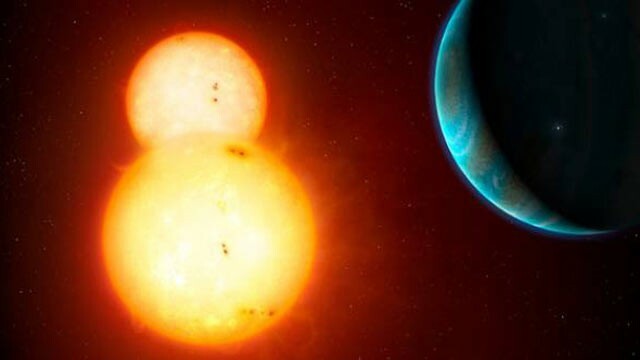 It has ignited hope that the star — one of two that orbit one another as a binary pair — could play host to a whole system of rocky worlds. But before we plan a trip to Alpha Centauri star system, what we need to know about this earth-sized world. Here is an astronomy guide for Alpha Centauri Bb. Alpha Centauri Bb is an unconfirmed exoplanet that orbits around the sun like star Alpha Centauri B. At only 4 light years from Earth it is the closest planet ever detected outside our solar system. Alpha Centauri is the closest star system to the sun and consists of the sun like Alpha Centauri A and B plus the red dwarf Proxima Centauri. Surface temperatures on the planet are estimated to be around 1200C (2192F), which is almost three times hotter than Venus. Alpha Centauri Bb is probably tidally locked, meaning that the same side of the planet is always facing its host star. It is highly unlikely that any form of life could exist in the planet’s harsh conditions. It is possible that other small rocky planets orbit around the habitable zone of the star but they have yet to be detected. Even though the Alpha Centauri system is relatively close to Earth it would still take a conventional spacecraft 50,000 years to reach it. A little exoplanet living in a neighboring star system has caused a very big stir among scientists. It may be too hot for life to survive on its surface, but the discovery of an Earth-sized planet orbiting Alpha Centauri B has ignited hope that the star — one of two that orbit one another as a binary pair — could play host to a whole system of rocky worlds. But before we plan a trip to Alpha Centauri star system, what we need to know about this earth-sized world. Here is an astronomy guide for Alpha Centauri Bb. Alpha Centauri Bb is an unconfirmed exoplanet that orbits around the sun like star Alpha Centauri B. At only 4 light years from Earth it is the closest planet ever detected outside our solar system.Alpha Centauri is the closest star system to the sun and consists of the sun like Alpha Centauri A and B plus the red dwarf Proxima Centauri.Surface temperatures on the planet are estimated to be around 1200C (2192F), which is almost three times hotter than Venus. Alpha Centauri Bb is probably tidally locked, meaning that the same side of the planet is always facing its host star. It is highly unlikely that any form of life could exist in the planet’s harsh conditions. It is possible that other small rocky planets orbit around the habitable zone of the star but they have yet to be detected.Even though the Alpha Centauri system is relatively close to Earth it would still take a conventional spacecraft 50,000 years to reach it.